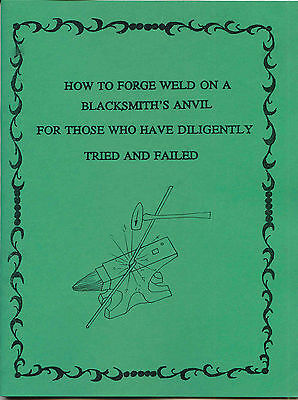 For those who have diligently tried and failed, this easy to understand, well-illustrated volume covers the topic of forge welding quite well with easy to understand instructions on the use of flux, scarfing to a finished weld, and many other topics. Heath covers the details of what to look for in the fire, the "wet look" on the iron, how to prepare a fire, and other subtle details that must be mastered before a weld can be "popped". Welding made effortless! With simple techniques targeted to a wide and general audience, this guide eliminates the intimidation from an all-too-often technical craft. Rather than creating a manual workbook with elaborate, complicated drawings and instructions, Kimberli Matin takes readers on a journey of creative discovery. With purchased steel rod and bar or found metal parts from a salvage yard, plus basic, easy-to-use tools, she shows how to construct 25 whimsically attractive items. 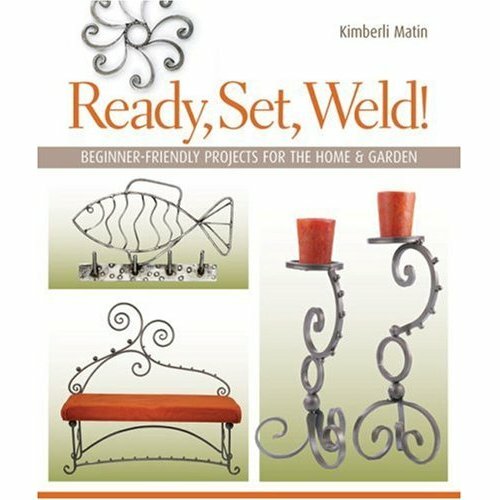 From a garden chair fashioned from an old tractor seat and odd parts to a stunning tri-fold screen and a delicate, filigreed plant stand, these great projects will make welders out of everyone!